FARNBOROUGH, England — Off the back of an increase in commercial successes, Czech company Aero Vodochody is confident it can dominate in a number of highly competitive markets following a hiatus in development after the country experienced a political restructuring in the late 1980s. At the Farnborough Airshow, the firm launched its concept for the new version of the L-159 light-attack trainer aircraft, the F/A-259 Striker. The Striker is part of a joint modernization effort with Israel Aerospace Industries that has resulted in new avionics and a wet-wing capability being introduced into the trainer. 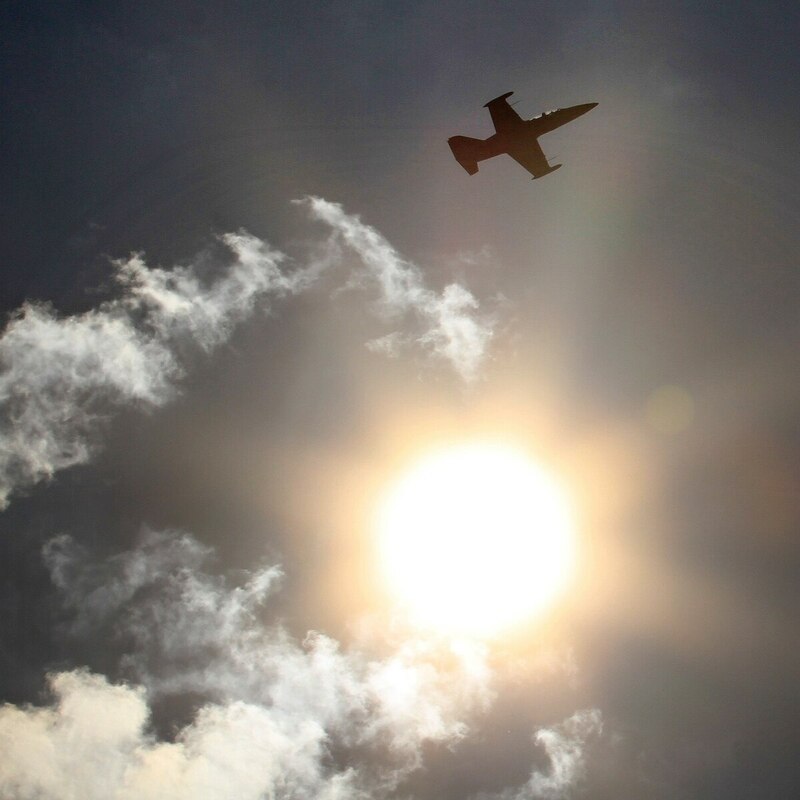 Aero hopes to benefit from IAI’s international marketing reach, specifically in the U.S. where both firms hope to be contenders for the U.S. Air Force’s OA-X light-attack aircraft competition, despite the service down-selecting two turboprops for the experimental stage of the project. Aero is open to offering either the F/A-259 or the modernized L-39NG if given the opportunity to compete, and the company says it will manufacture the aircraft in the U.S. if selected, something for which it is in the process of securing partners. Even if work in the U.S. goes ahead, there will still be production capability in the Czech Republic to fulfil requirements from the Czech Air Force, according to Giuseppe Giordo, the company’s president and CEO. The F/A-259 has new avionics, a wet wing, and an option of either Elta Systems' EL/M 2032 mechanically scanned or EL/M 2052 active electronically scanned array radar, either of which can be offered depending on the requirements and budgets of the customers, replacing the Leonardo-made Grifo radar that is on the L-159. Elta Systems is a subsidiary of IAI. Giordo noted that a range of weapons can be offered for the aircraft, including those made by Israel, Russia and NATO member nations, to cater to different customer requirements. When pressed on whether teaming with an Israeli company will be a problem for potential business in the Middle East, Giordo claimed that has not been an issue since the teaming was announced in April, adding that should a customer object to Israeli technology being incorporated, the Czech firm would seek an alternative. There are plans to roll out a midlife upgrade for operational L-159s in the next four to five years, and Aero is in discussions with the Czech government regarding what this will entail. The new radars or the wet-wing capability of the F/A-259 could be one possible upgrade, Giordo noted — the latter being the main structural change in the new version — as well as a new engine configuration. A midlife upgrade could also be offered to the Iraqi Air Force, which operates the type, he added. The two firms have teamed to offer the former’s Ultra Light Sonics Enhanced System with the latter’s mini-sonobuoy system — as well as a dipping sonar capability from L3 Technologies. Giordo took on the lead role at Aero two years ago after leaving his position as the CEO of Leonardo’s aircraft division, taking with him a management team that is working to bring the Czech company into the forefront of light attack and trainer manufacturing. “This is an example of how a company can come back to the international market if it has the right products and marketing,” Giordo said at the air show. He has also overseen the development of a new version of the L-39 Albatross, the L-39NG — which is being developed as a new build — and a retrofit option in the form of the L-39CW, which includes a new engine and avionics suite. There are 38 examples of the aircraft on order, and the company announced July 17 that it had entered into a strategic agreement with Skytech, who will facilitate the delivery of 10 L-38NG plus options for six more to be offered for air force training. Aero also announced the company entered an agreement with RSW Aviation to deliver six L-39s reconfigured to the L-39CW configuration, plus delivery of 12 new-build examples. Four aircraft are also on order for Senegal and four for the Czech Air Force, and the company envisages there will be commitments for 22 more by the end of 2018, and 42 more by the end of 2019 from a mix of NATO and non-NATO customers. The rollout of the first new-build L-39NG will come by the end of 2018, Giordo noted, and will be certified in 2019, with deliveries beginning in 2020.